It’s stated intention is to allow Flash banner ads to execute on the iPad and iPhone, but there are plenty of other interesting applications (such as news site infographics). The company behind it have announced plans to open source it in the near future. John Gruber’s recent analysis of Apple’s policy is, I think, almost exactly correct. He is right to pinpoint PowerPlant/Metrowerks as a source of Appleﾕs anxiety. (Tinderbox is still struggling with that one.) Java was another bad memory for Apple. An even worse memory, I think, is OpenDoc – the platform on which Apple bet the company, and lost. In 1997, Apple was on the ropes. Every trade press story speculated that Apple would soon go out of business. Apple’s computers were toys, hapless, hopeless. The only hope seemed to be that Microsoftﾕs antitrust problems would extend the struggling company’s life a year or two and something might turn up. It didnﾕt happen. Microsoft didnﾕt want to face the anti-trust consequences. They promised to extend Office a few years, and lent Apple $150M, and Jobs came back. This week Apple confined developers to a specific set of tools (XCode). A lot of people think this is to kill Adobe Flash. Sure, that is a tactical reason, but there are much broader strategic reasons. By telling developers to move to XCode tools, Apple is setting the stage to potentially switch architectures. History often repeats itself: In 2003, Apple advised developers to switch to XCode tools. This was not a coincidental move—2 years later Apple moved to Intel across its entire Mac line. Developers who complied could simply press a button and applications would run natively (full performance) on new Intel Macs. Now consider this – Apple may have already switched without people knowing. Here’s an anecdote – the innards of Apple’s A4 (powers the iPad) have been speculated ad nauseum by experts, but the reality is no one knows what’s actually inside. This week, there was very surprising analysis that the A4’s die size far exceeds what it ‘should’ be (single core ARM Cortex A8 with a 64 bit memory bus and GPU). This analysis is not yet mainstream, but will add tremendous fuel to the fire that perhaps the A4 is NOT an ARM architecture. In fact, it’s highly possible that the A4 is a dual core Power Architecture, which is what the PA Semi team worked with, prior to Apple buying them in 2007. If this is indeed the case, then iPhone OS 4.0 would bring incredible speed improvements to the iPad, since it would no longer run applications on an ARM processor emulator. Can you imagine if OS 4.0 improved the iPad’s speed by 50% on day 1? Apple would be heralded as a software God. But in order for these speed improvements to be realized, apps would need to be written in objective C—which is exactly what Apple is now telling developers to do. It’s clear from a strategic perspective that Apple has thought about vertical integration incredibly deeply. Their choice to enter the CPU business was not made lightly, and reflects a platform heritage and an ability to steer developers (afforded by huge network effects). We will likely find out what’s really inside the A4 soon. But one thing is already clear: Apple is sowing the groundwork to make architecture changes seamless—developers will only need to flip a switch to give their apps blazing, native performance. This incredible foresight will allow Apple to stay agile and maneuver in the face of what will be unrelenting competition from Intel, Qualcomm, and nVidia. Apple can essentially treat the CPU as a commodityﾑand this will enable them to continually adjust ‘make vs buy’ strategies, wield incredible power over suppliers, and build a long-term halo around their platform. 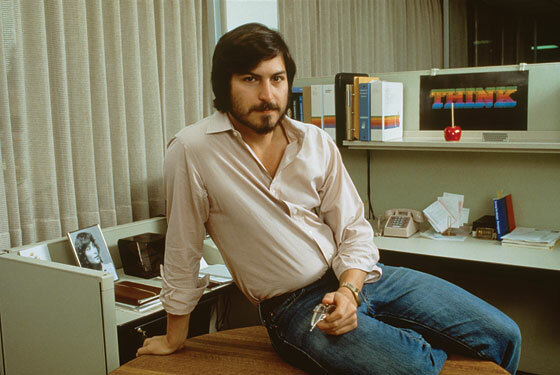 I find it fascinating that Apple has been so good at diverting attention to the Flash argument, that people don’t see the true genius behind Steve Job’s vision and moves. Apple is setting the stage to become one of the biggest winners in the storied history of vertically integrated companies. Erm…this whole thing rests on your assumption the chip is some sort of dual core chip. Pure fantasy. What isn’t fantasy is that you’ve probably got a lot of traffic from this. And as to the mystery you think surrounds the Apple A4: It is ARM, it’s already been x-rayed and it reveals a quite common Cortex-singlecore and a GPU, the usual SoC. The reason that it’s bigger is that they put the memory chips directly on the CPU, for lower latencies and higher speeds. The huge die size is probably most easily explained by the claim that there’s 256MB of DRAM on-chip. Embedded DRAM is nothing all that new.. it’s been in some of the laptop GPUs for awhile now. But it’s also not tiny. you don’t seem to understand how a compiler works. the apps that use an intermediate platform (like flash) will work in any platform where flash is ported to without any effort by the developers (they don’t even have to “flip a switch”, just distribute the same content everywhere). For the stuff that is compiled, there is no magic in xcode, it just runs a different compiler. Apple only needs to provide an API that is available across all architectures (like POSIX and cocoa). Nintendo has done this with the GBA -> DS -> DSi path, and it worked fine for them without the need to force any tools on anyone. Forcing everybody onto X-Code wouldn’t be so bad if it was a good tool. It isn’t. It is getting there, but it is years behind other professional-grade IDEs. Forcing developers on to an IDE rampant with bugs and missing features that developers take for granted on other platforms really reduces the attractiveness of developing for that platform.